- 12 x 2g/ 0.07oz. 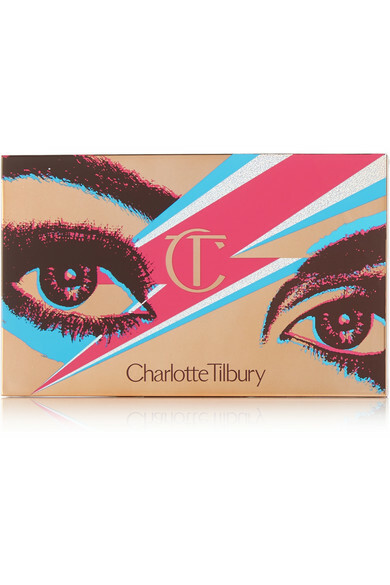 Charlotte Tilbury's 'The Icon' collection is inspired by the musicians and dancers the makeup artist used to party with in her heyday, including David Bowie and his signature lightning bolt. 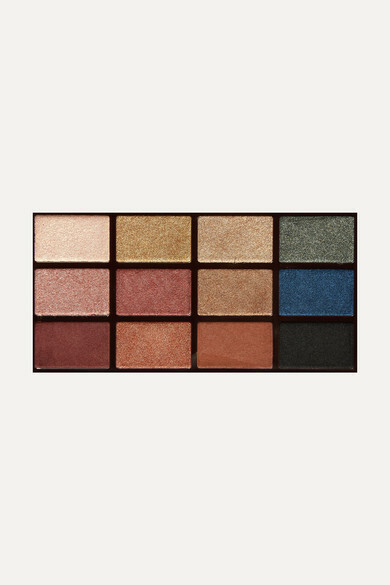 A great way to enhance eyes, lips and cheeks, this limited edition palette includes 12 metallic shadows that can be combined to create looks for any mood or occasion. 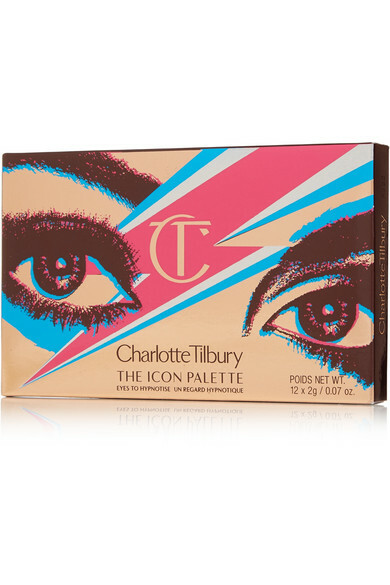 The powders are so rich in pigments and emollients that you can use your finger to build up color, or define the lash line with the Eye Smudger Brush.